Does anyone else notice the crazy sounds the foil makes flying through air at high speed on big jumps? tahoedirk, I think I saw you out off Kings Beach a few weeks ago on the Sunday after the first snowstorm. 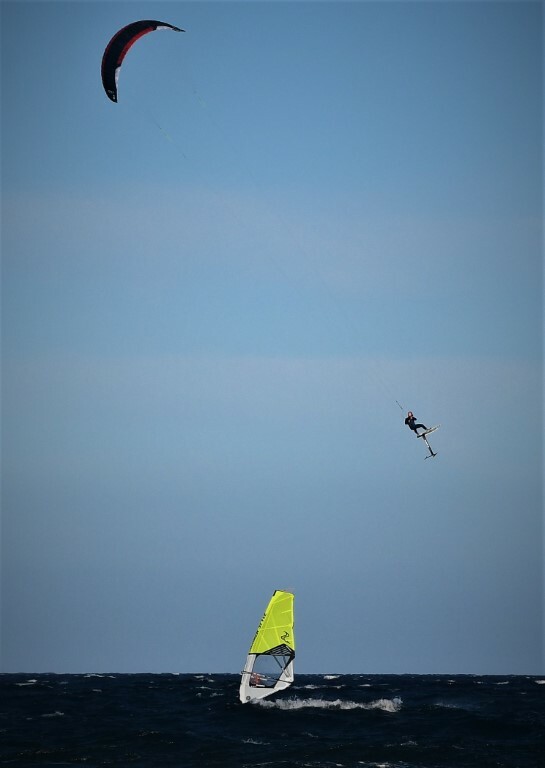 I was over at speedboat and watching a kite moving so fast that it had to be a foiler. Where do you launch? For jumping the foil kite definitely helps you get those dangling feather landings that make foil jumping a more reasonable prospect. It gives you way more confidence in boosting to know you're going to come down softly. With an LEI it's usually a faster and sketchier descent for me and I end up doing a lot more aborts on the landings and kick away. 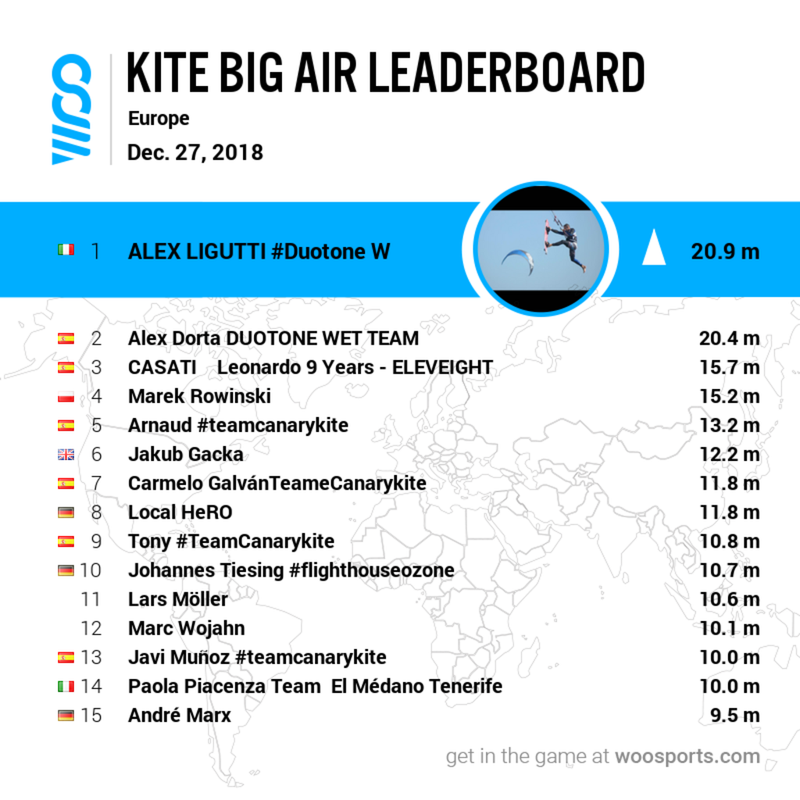 I used to kick the board away a lot more when I was first jumping because I didn't have the timing right and you really don't want a misaligned re-entry with a powered up kite. I used to be afraid of hurting the foil but after so many beat up sessions on my Sword2 I found that it is pretty rock solid. There have been landings where I was positive I was going to flip the board over and find a broken mast and no wings and the thing is solid as ever. Well-constructed carbon fiber is a beautiful thing. The progression for me has been trying to dial in the foil-away landing, which really takes precise timing. One day I would like to be able to execute a powered up foil-away landing akin to what you can do on a twin. No strange whistles in the air here with levitaz. A foiling landing is still far away for me, the gusty winds in the movie didn't make a smooth landing on even the board any easyer. Adam is showing some really nice big air skills here, but i notice even he isn't landing very smoothly and some landings are even cut off. Ha, maybe that's why the cut off most landings since the kite sent down off course. Also it seems as he is using longer lines here, but what length? Big air on a foil is way cool for the guy doing it, but with all the straight down wigglewaggle landings it takes something special to look cool, except the 20m jumps. I broke my bridle last week going for the moon. It's hard to beat back to back football field jumps on a surfboard for me, and back to back football fields look badass to everyone watching. Looks like Adam's video got taken down, maybe by Slingshot . Glad I saw it when I did, but I've seen him in person. Amazing rider, jumps, and skill. Matt Air wrote: Looks like Adam's video got taken down, maybe by Slingshot . Glad I saw it when I did, but I've seen him in person. Amazing rider, jumps, and skill. I guess it's the same video at the end of the SS Foil Academy...? I'm afraid I am one of those Bay Area vacationers (6-7 weekends a year) that the Tahoe locals love/hate. I haven't kited on the Lake yet but I can't wait. I will keep your number in case, but we are now staring down the long cold winter so it could be a while. I have a 6.5 hooded suit that is more than enough to kite through the winter down here at sea level. Not sure how I would fare up there in winter though. I gave up on looking cool the first time I saw my own footage. I tell myself it's all for the inner stoke. Flysurf Soul 8m, Moses Comet, lines 18m, wind 20-25kts.